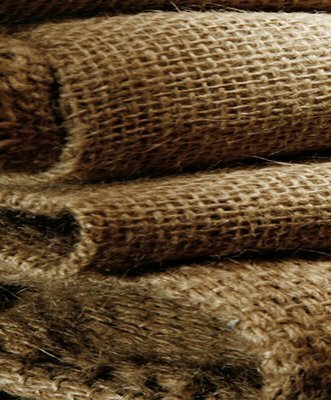 We carry two kinds of burlap: treated and untreated. Both kinds are made of jute and are biodegradable & compostable. The untreated bags are 10 oz weave. The treated military bags are 9 oz. weave and may run small due to shrinkage caused by the treating process. 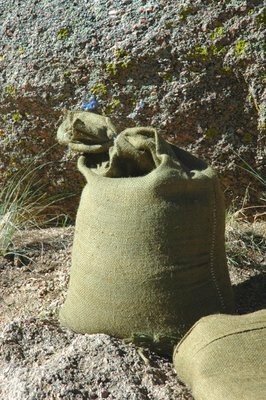 Untreated burlap bags are ideal for arid applications. They will deteriorate is left in contact with persistent moisture (ie, left in standing water). If regularly turned & allowed to dry, or deployed in a relatively sheltered environment, they can last for years. These are tan in color. Treated burlap meets US military specs (CID-A-A-52141 class A). They're dipped in an EPA-approved ammonia solution, which stiffens the fabric and provides resistance to rot, mold, soil bacteria, insects and UV degradation. These bags are greenish in color. 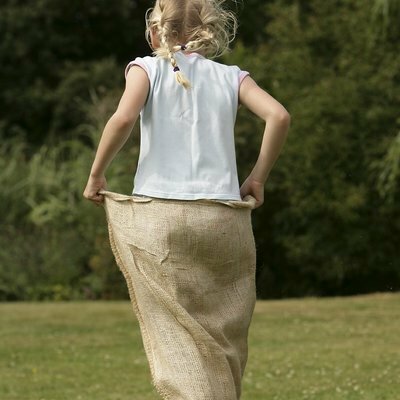 While exposure to wet or standing water for an extended time can eventually cause even the treated burlap bags to rot and fall apart, they're extremely well suited to our arid Southwestern climate and can last for years.